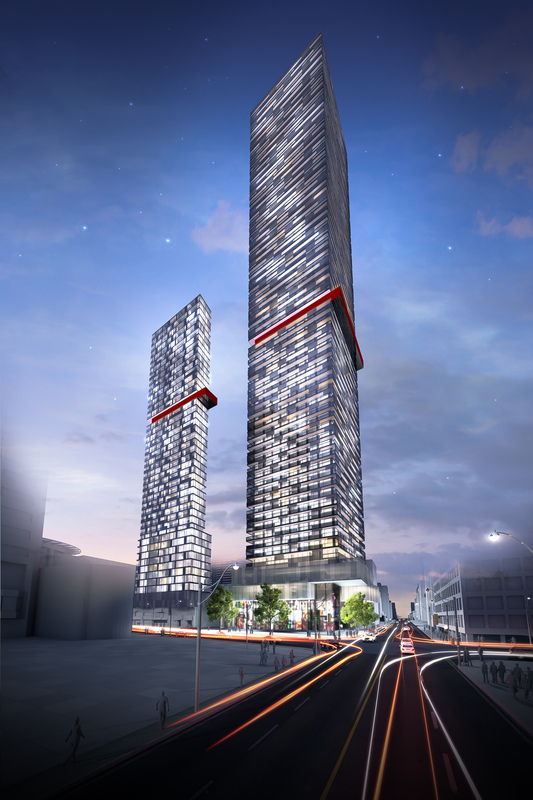 Yonge and Eglinton will no longer be referred to as “Young and Eligible,” now that 2221 Yonge Condos has hit Toronto’s residential scene. People of all ages looking for value and luxury in an incredible locale are discovering the wealth of opportunities at Tower Hill Development Corporation’s newest offering. Prices begin from under $300,000 in this iconic condominium designed by the renowned Manhattan-based Pei Partnership Architects in collaboration with award-winning Toronto firm Quadrangle Architects. Interiors by Munge Leung complete the picture of attainable elegance. And what a location! The well-established Yonge and Eglinton area is home to an amazing assortment of fabulous amenities. Imagine being able to walk to restaurants, shopping, boutiques, cinemas and even a grocery store. Everyone from first-time buyers to right-sizers can appreciate the vibrancy and excitement of the area. PLUS – with the $8.4 billion infrastructure injection into Toronto’s transit system, the future Eglinton Crosstown LRT makes this opportunity outstanding. In fact, with the local rental market so hot, in a few years, demand is likely to exceed supply. NOW is the time to buy, whether you are looking to live in this convenient spot or invest. The design for 2221 Yonge is iconic, with a unique roofline and cantilevered wraparound balconies providing magnificent outdoor spaces for residents to enjoy. Among the amenities is one of the finest Zen-like residential spas in the City, offering not one, not two, but three pools (hot, warm and cold). Midtown Manhattan may get a lot of press, but Midtown Toronto is coming into its own with a lifestyle that rivals New York City. 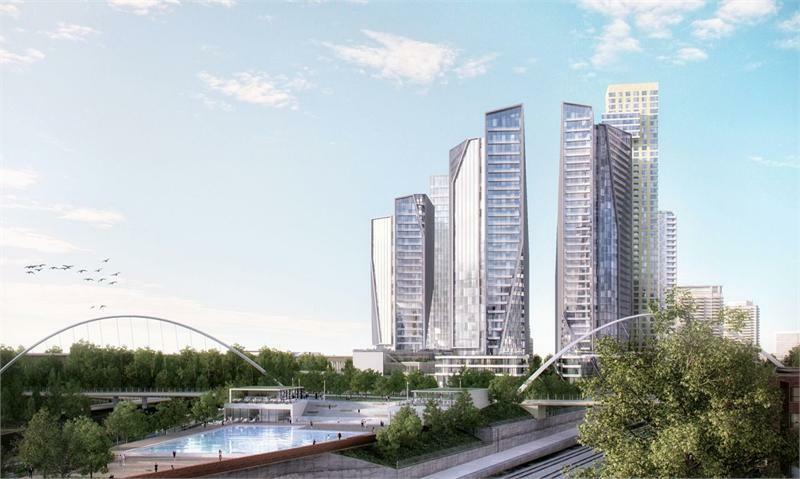 And with Yonge and Eglinton featuring so many existing amenities, residents will avoid all the growing pains of many cosmopolitan neighbourhoods in transition. I just know that when this building is delivered in a few years, people who are intelligent enough to get into 2221 Yonge today will be glad they had business acumen to invest so wisely in their future. To find out more, visit 2221yonge.com or call 647-350-2221. When it comes to purchasing a suite in a condominium, you want to buy with confidence – and one of the best ways to do that is to choose a builder/developer with a proven track record for success. We are fortunate to have many long-time builders offering gorgeous condos across the GTA, many who have been in business for decades. This means they have ridden out numerous economic cycles and are still thriving, so you can count on them to come through with beautiful buildings and excellent service. Baker Real Estate Incorporated is proud to represent all of these esteemed firms. Spanning three generations of entrepreneurial visionaries, the principals at ADI Development Group have been building worldwide since the 1960s. 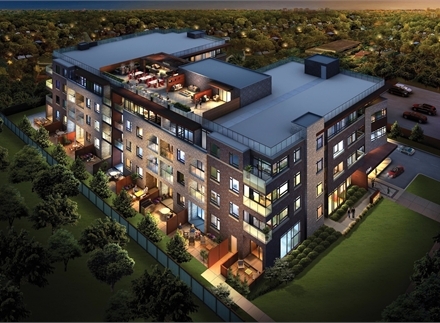 ADI’s The Mod’rn Condominium is an attractive four-storey residence in Burlington, minutes from the lake. Renowned for offering exquisite condominiums to prime locations, Bazis International is bringing spectacular architecture to Yonge and Eglinton with E Condominiums, to Yonge and Sheppard at Emerald Park, and to Bloor Street across from the ROM with Exhibit Residences. Longtime favourite Broccolini Construction Inc. is currently in sales mode at Park Towns at Bayview and Sheppard. One of Montreal’s foremost industry families, this firm has served the residential, commercial and industrial markets of Ontario and Quebec since 1949.
years, boasting thousands of homeowners in dozens of signature communities. Diamond Corp. has been committed to progressive city building through a legacy and tradition of quality and innovation. Award-winning Context Development was founded in 1997 and continues to offer innovative condominium residences in downtown Toronto, including Library District Condominiums in Toronto’s Downtown West and Market Wharf, just steps from the St. Lawrence Market. 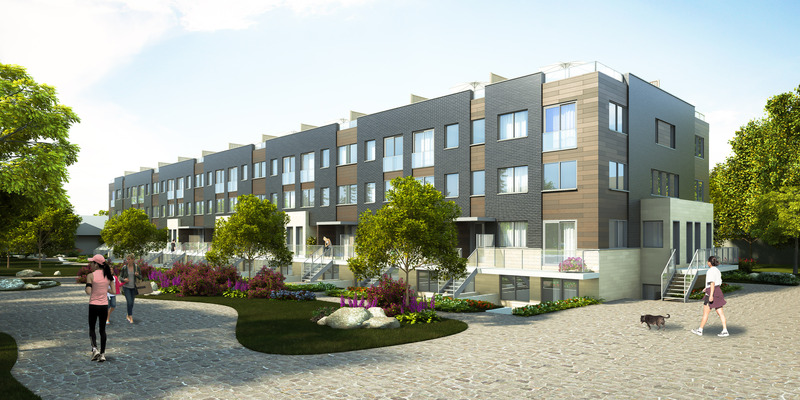 Dundee Kilmer Developments is developing the Athletes’ Village at the West Donlands for the Toronto 2015 Pan/Parapan Am Games. 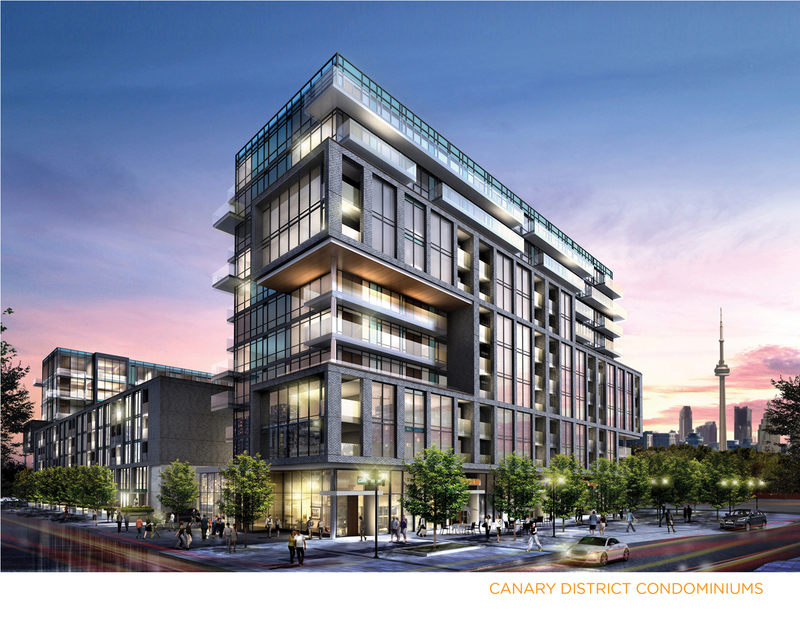 Following the games, the area will become Toronto’s most ambitious city-building project in generations, with the cutting-edge residence rebranded as the Canary District Condominiums. Established in 1994, Dundee Realty Corporation has become one of Canada’s leading real estate companies. It’s being referred to as “The New Black,” and it’s coming soon to 87 Peter Street. 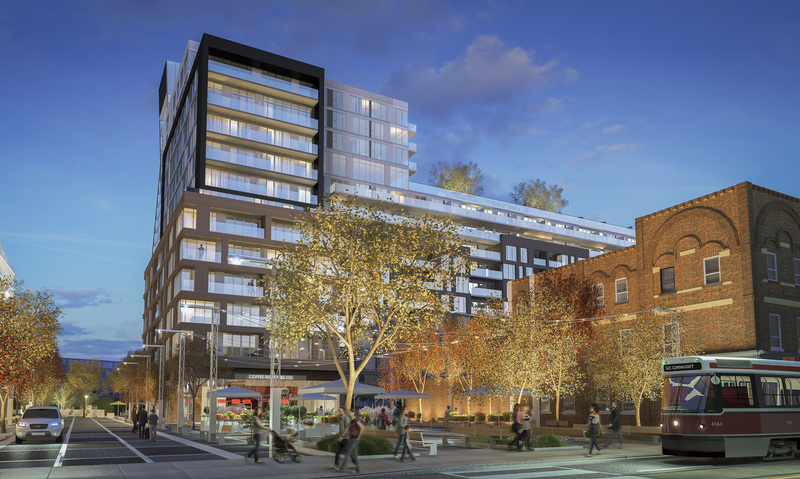 Menkes’ Noir Condos will offer dazzling residential opportunities between King and Adelaide Streets, in the heart of Toronto’s Entertainment District. Imagine a stunning 49-storey condominium surrounded by the city’s most exciting entertainment venues, restaurants and galleries – and within walking distance to the St. Andrew subway station and Bay Street! TIFF Bell Lightbox and the Royal Alexandra Theatre in one direction, the Financial District in the other – Noir will form the perfect bridge between fun and business. With an edgy exterior by hot Toronto firm Core Architects, and suite and amenity designs by the inimitable Mike Niven, Noir is sure to turn heads with its aesthetic appeal. 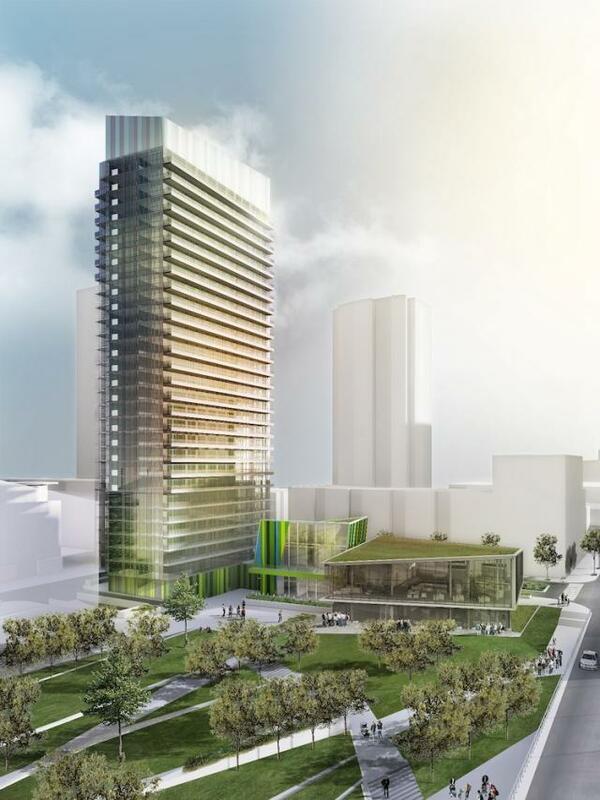 Exuding a flirtatious urban vibe, Menkes’ newest condominium will include a theatre lounge with cool pod seating, a billiards/gaming parlour, fitness facilities and yoga studio with a walkout terrace, and a decadent water spa. It will be a veritable haven in the midst of the best our city has to offer. Purchasers will be able to select from an array of well-appointed suite designs, from compact studios to sprawling three-bedroom layouts – perfect for everyone from young professionals to growing families and empty-nesters. Sizes will range from 449 to 826 sq. ft. If you are seeking sleek, modern, sophisticated living in the hub of the city, register NOW for Noir Condos at http://www.menkes.com. I do a lot of writing on why condominiums offer such a great lifestyle option for individuals and families of all ages and circumstances. In fact, owning a condominium suite can also be the perfect solution for multinational corporations that have business executives flying into Toronto and the GTA for meetings on a regular, or even semi-regular basis. At Baker Real Estate Incorporated, we get a lot of inquiries about this scenario, especially in the Financial District, where so many of our bankers, lawyers, stock brokers and other professionals have offices. They are looking into acquiring furnished condominiums in good locations. In addition to being cost effective when compared to renting rooms in top-quality hotel, putting up colleagues in a condominium suite gives travelers more of a sense of “home” than in a hotel room, no matter how luxurious it may be. In a condo suite, a visiting businessperson has more privacy with a separate bedroom, flexibility of dining possibilities with a full kitchen in which to prepare food, a main living area that is spacious and comfortable, as well as the use of the building’s amenities. And we all know that today, those facilities in condos are absolutely gorgeous. The ever-versatile condominium continues to delight and fascinate me – and obviously the majority of the new home-buying marketplace, considering the huge market share condos currently command. For a weary traveler, a condo suite can be a wonderful place to call “home” while away on a business trip! Over half of 2011 is behind us, and the market for new condominiums is as sizzling hot as our summer temperatures! The heat has been building since last year. According to RealNet statistics from BILD, new condominium suite sales in 2010 were up 30 per cent over 2009 to achieve the second-best year ever for condos. 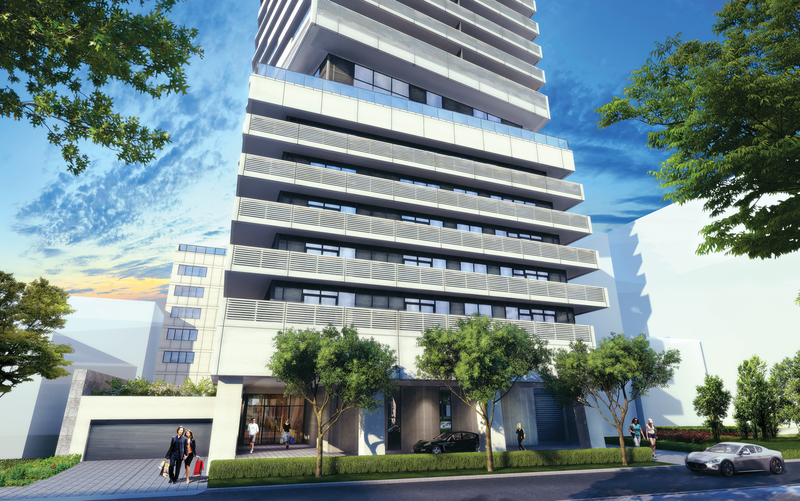 High-rise sales also accounted for 55 per cent of all new home sales in 2010, which established a new record. The year 2011 has been a whirlwind, with high-rise records being set at an astounding pace. In January, sales reached their second-highest level for that month since 2000 – a great start to the year. February was record breaking again, as there were 2,202 new condominium suites sold – the first time ever that sales exceeded the 2,000 threshold in that month. This was 36 per cent better than February 2010, and in fact, condo sales accounted for more than six out of every ten new home sales in the GTA. March sales brought the first quarter of 2011 in line with that period from 2010. This led to the best April ever for new condo sales, which were up 89 per cent over 2010. Topping off this achievement, the 3,249 condominium suites sold in April amounted to the third-best monthly condo sales tally on record! And 64 per cent of all new home sales in April were high-rise condo suites, which is in itself a record-high monthly market share. 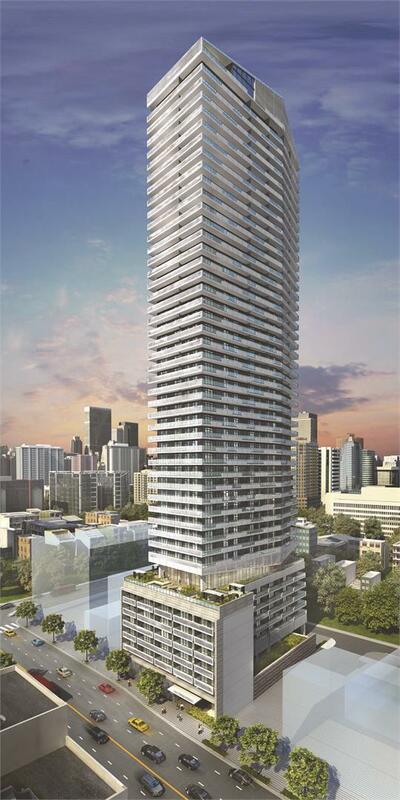 Then May came along, with high-rise sales up 50 per cent over last year – the best May ever for new condominium sales! 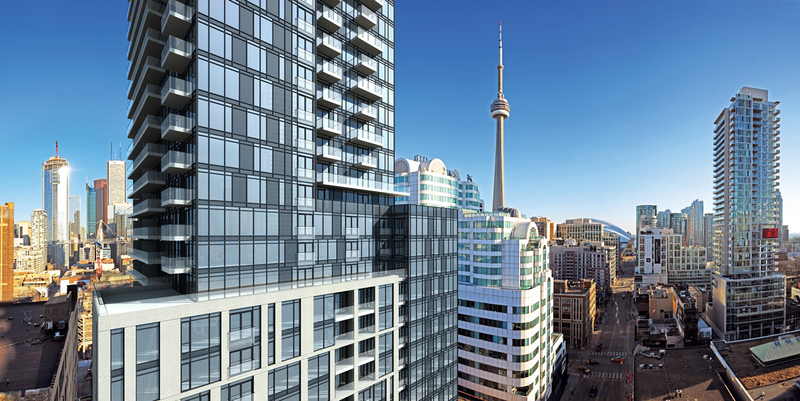 In June, sales of new-build condos rose 62 per cent over 2010. This brought the sales of high-rise condominium suites up 39 per cent over the first half of 2010. Phew! And if our Baker Real Estate clients’ busy presentation centres are any indication, the rest of the year will keep the momentum going. This phenomenal success makes sense, with condominiums offering affordability compared to low-rise homes, a carefree lifestyle that appeals to the spectrum of the market, spectacular locations that are both beautiful and convenient, fabulous building designs, and extremely high levels of features and finishes. In 2011, the trend is to GO CONDO!